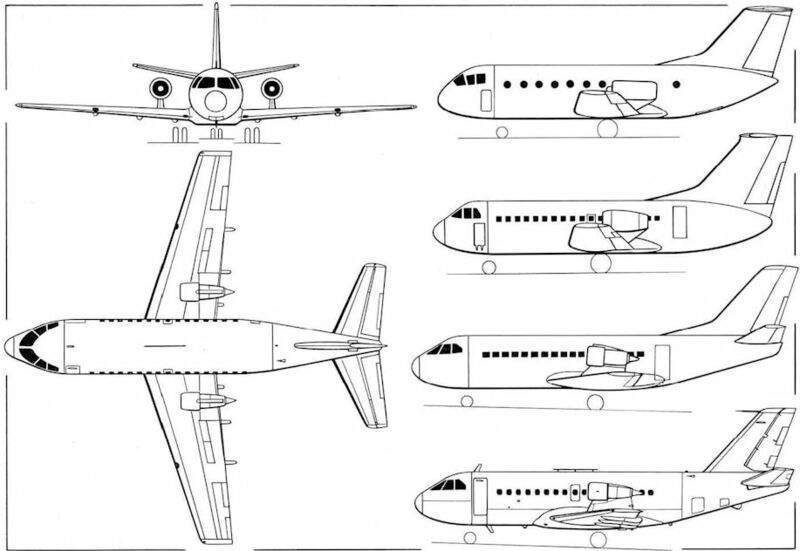 The VFW-Fokker “stable" of civil aircraft comprises, left to right, the Fokker F.27 Friendship, the VFW 614 and the Fokker F.28 Fellowship. 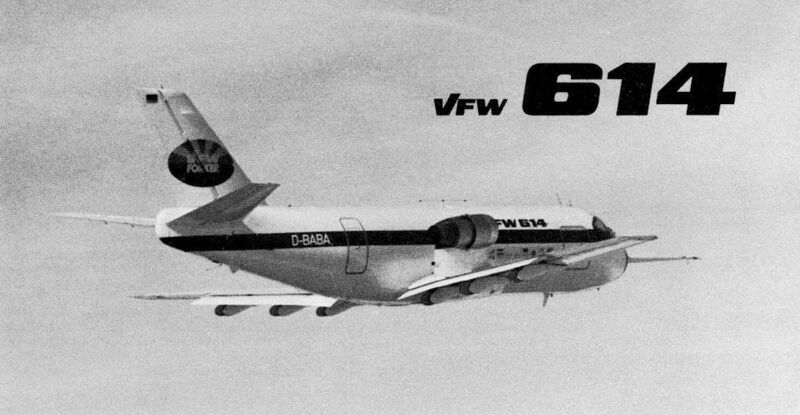 The two last-mentioned types are so close to each other in size and performance as to cause some embarrassment to the VFW-Fokker marketing teams. 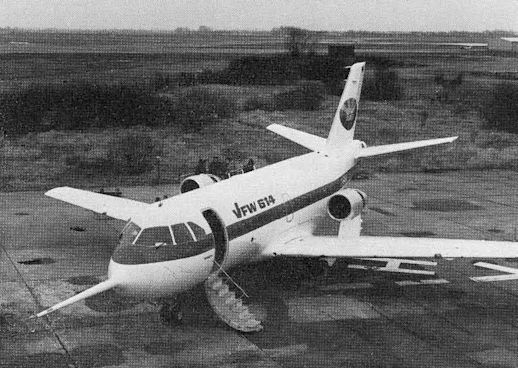 View of the VFW 614 G1 showing the overwing engine installation, the integral stairs to the passenger cabin and the large flap guide shrouds. The nose probe is for flight test only. 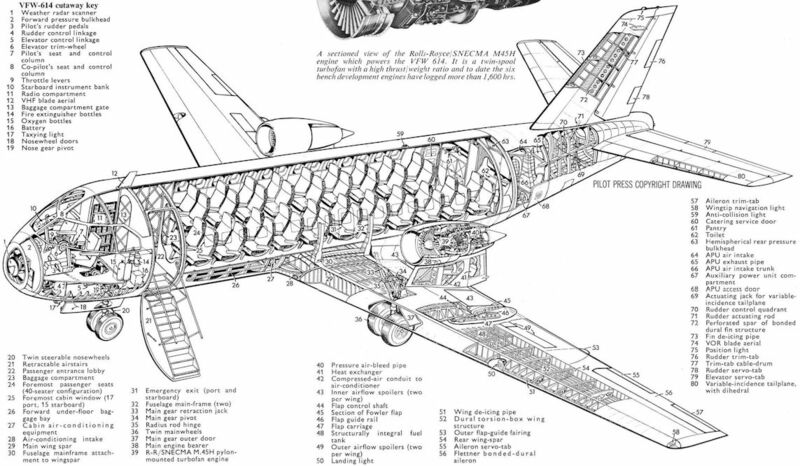 A sectioned view of the Rolls-Royce/SNECMA M45H engine which powers the VFW 614. It is a twin-spool turbofan with a high thrust freight ratio and to date the six bench development engines have logged more than 1,600 hrs. 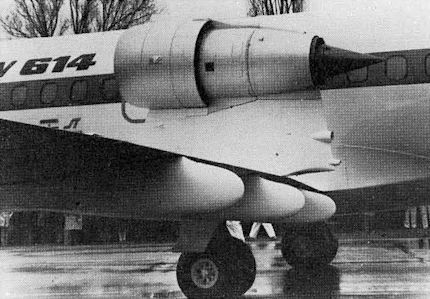 An early model of the Weser WFG 614 showing the T-tail and hinged nose. Head-on, plan and side views of the VFW 614 as completed and flown, and side views (right, top to bottom) of the original WFG 614 and two intermediate stages in the evolution of the VFW 614.